Bali elopement is currently available for those who just want a small and simple wedding with no guests invited or simply less-than ten invited guests. Do you really want to have it? Don’t make yourself regret in your entire life. If eloping in Bali is your dream so far, you hire a local bali photographer that will help you to make your simple wedding become a romantic and memorable wedding in your life. Let’s see how we can have eloping in Bali and the detail packages we can get. Bali is a paradise for all tourists, travelers, or even happy couples who just plan to get married. It has countless beautiful places from beaches, gardens, resorts and natures. Some of the best places in Bali include Uluwatu and Kuta Beach. Their beauties and natures are undoubted with picturesque sunset and eye-catching views that you will never be bored to see. Your wedding will be more romantic, secluded, and memorable in your life. 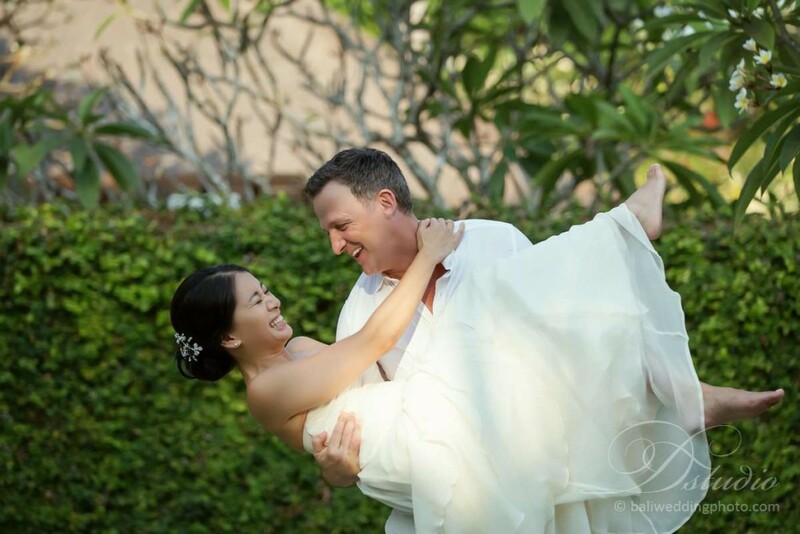 Elopement in Bali will be just simple but never fails to make your wedding more impressing. You are provided with several eloping package in Bali. Below is the detail sample of a package. 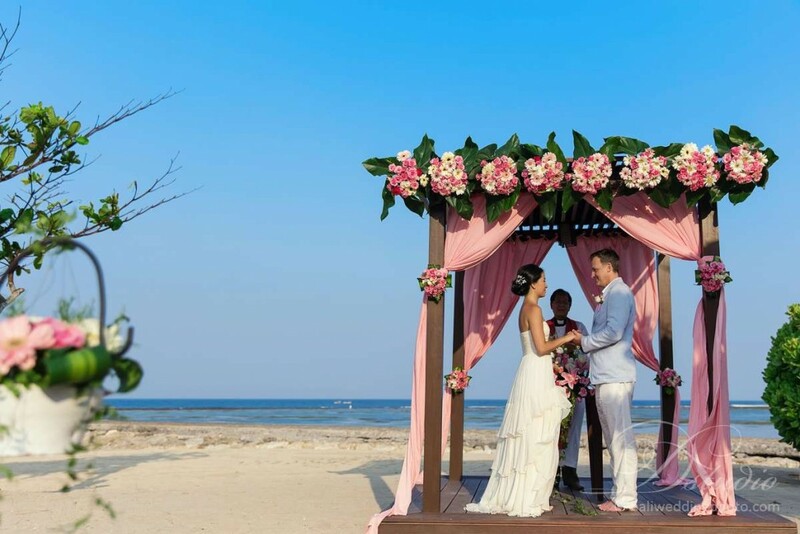 There are a lot of things that you have to prepare in Bali, but you do not have to get occupied with anything if you want to have Bali elopement. There are a lot of wedding organizers that can accommodate you with this sort of wedding. The package typically already includes the decoration, English speaking celebrant, hand bouquet and buttonhole, wedding arrangement, wedding certificate, wedding venue and so forth. Then, you will need makeup and hair do for bride and transport to the wedding venue. Also you will need someone to take photos on your wedding. Many local bali photographers are available, choose one that suit your photography style best. Among the optional package, there is one that you need to highly take into account. It is the photographer. Bali has beautiful places and even if you already get the best wedding venue with affordable price, your wedding will be lack of charm without a wedding photographer. So, wedding photographer may be said as optional but it is a must. You can hire a local photographer there if you already trust one. A photographer that is experienced and skillful to take photos in wedding should be preferable. The key is on getting a professional wedding photographer. You can hire it on your own by searching through tripadvisor , facebook, google plus or other photographer reviews on internet. 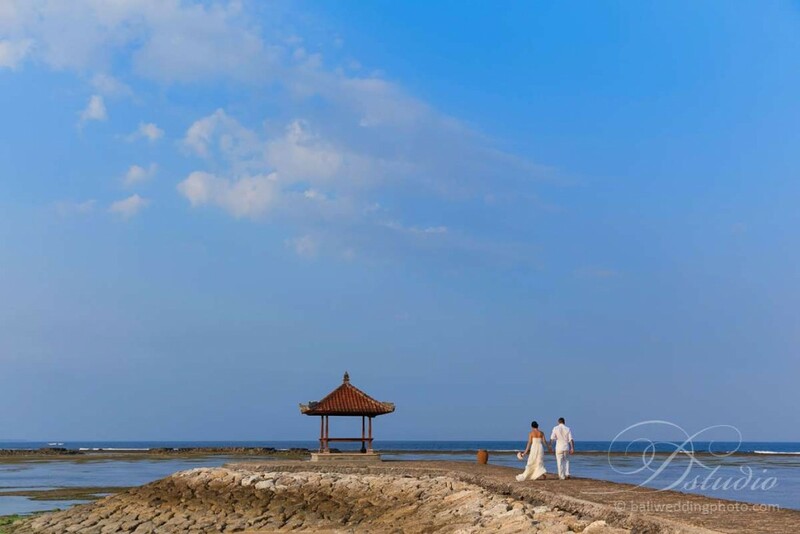 With perfect photographer, you will have an impressing Bali elopement.